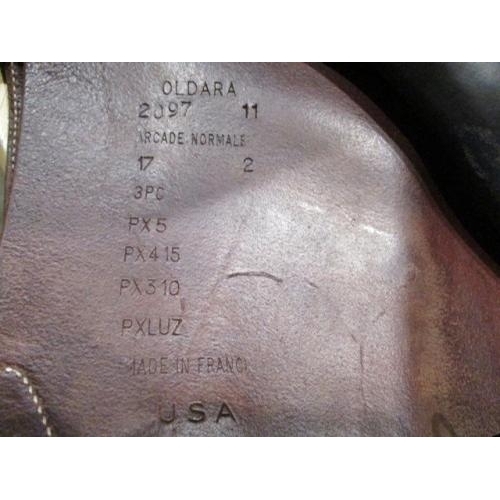 17 IN 2011 Devoucoux Oldara in good condition. 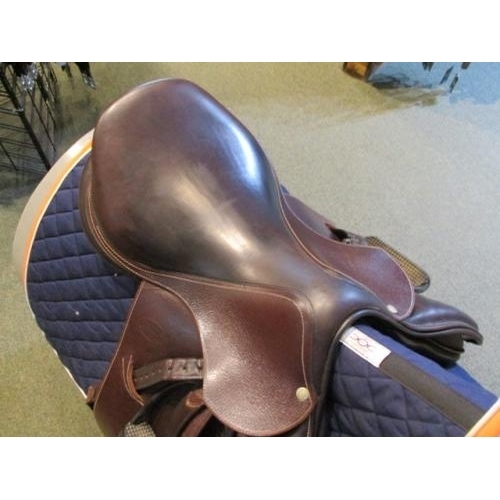 This premium French saddle has flaps that are regular in length and positioning (2 flap) with knee and thigh blocks for support. 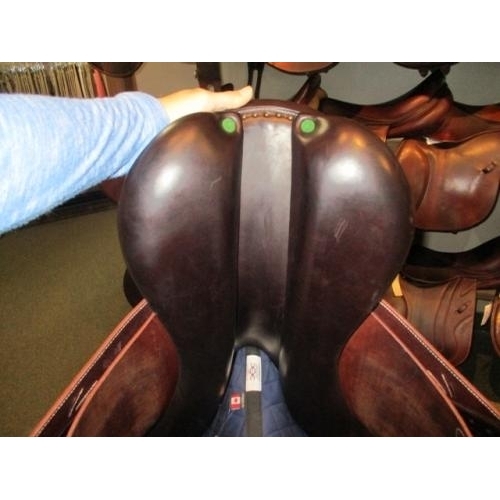 The seat is medium in depth with a medium twist. 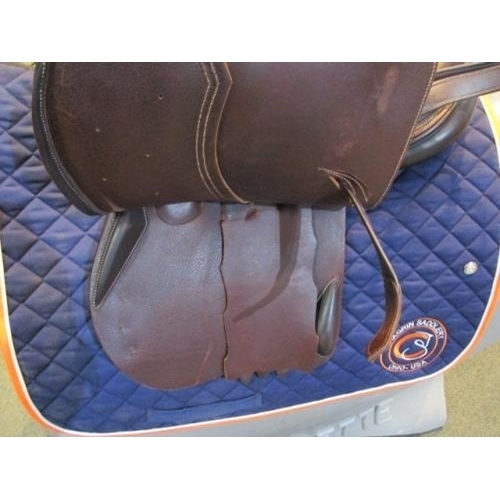 The tree measures medium wide. 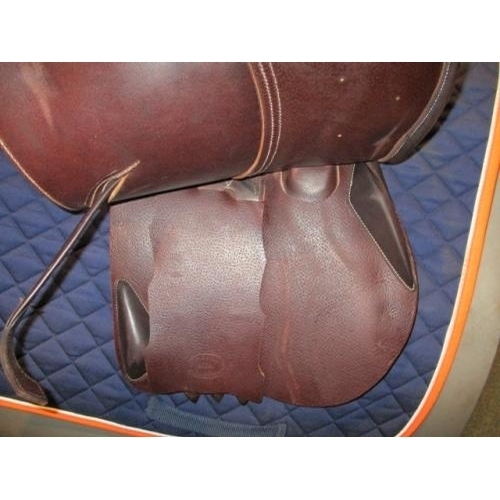 This saddle was ridden in with jeans and has a small rough spot at the pommel from wear as well as some minor discoloration on the flaps consistent with use. 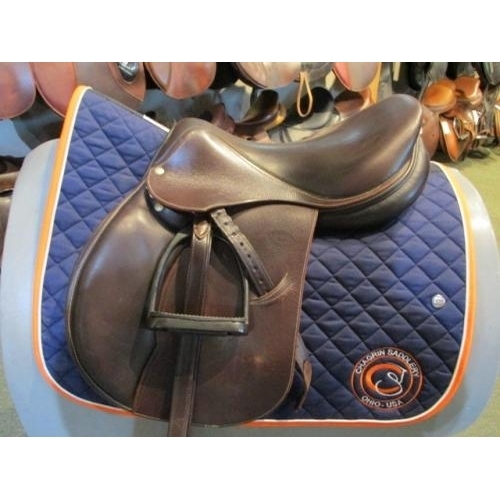 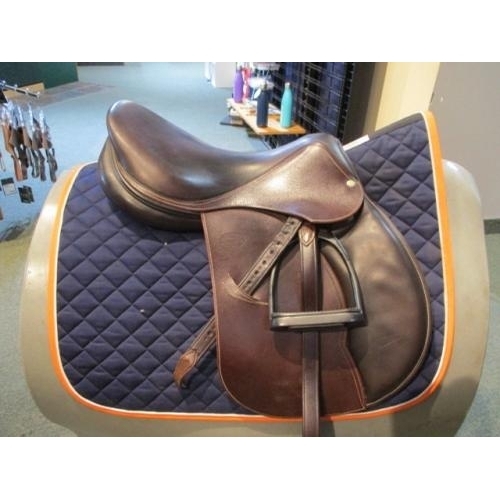 Saddle is sold with Devoucoux saddle cover, Stubben stirrup leathers, and black fillis stirrup irons.